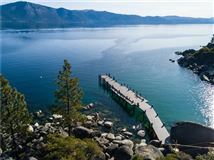 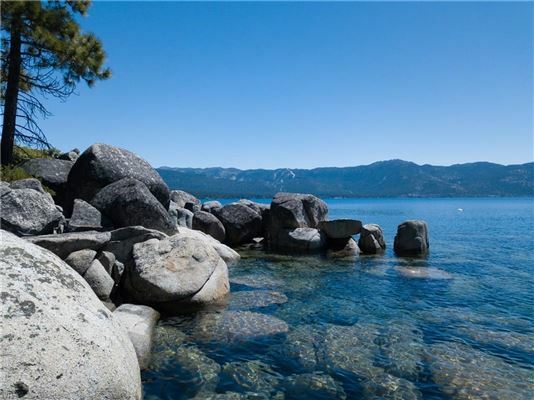 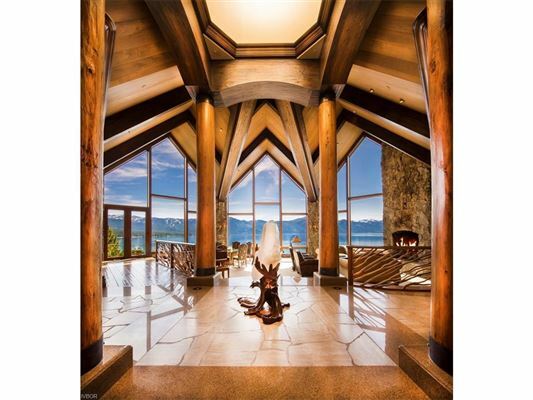 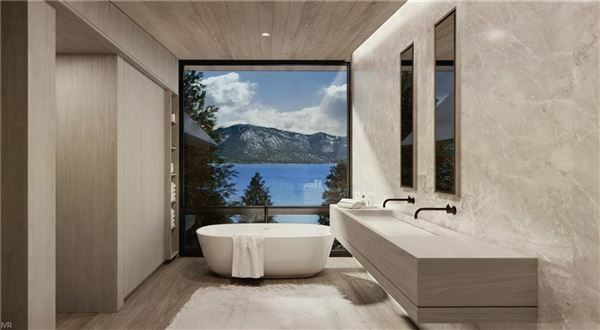 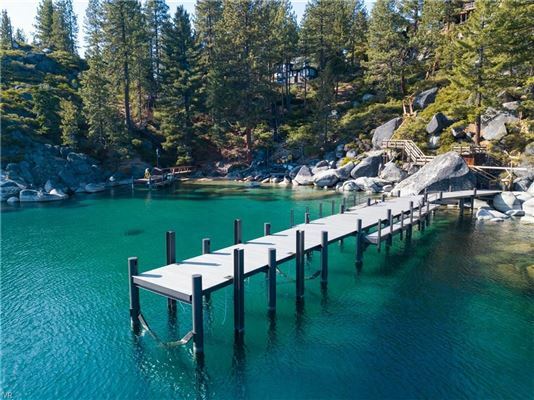 HOTTEST TAHOE LUXURY lakefront in Crystal Bay, Nevada. 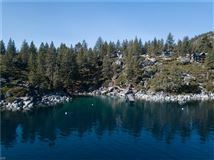 above stunning private cove. 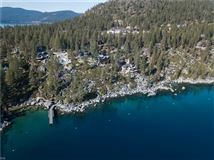 New construction in process with completion spring 2019. 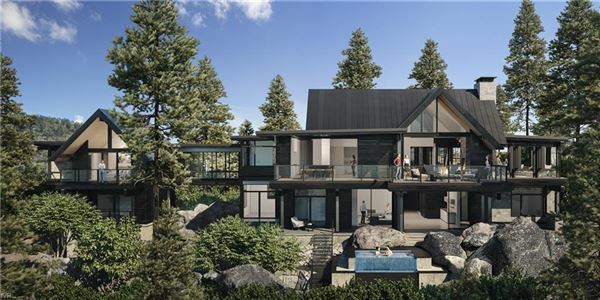 Crestwood Construction and Ryan Group Architects showcasing the most modern heavy gauge I-beam construction and cutting-edge design elements. 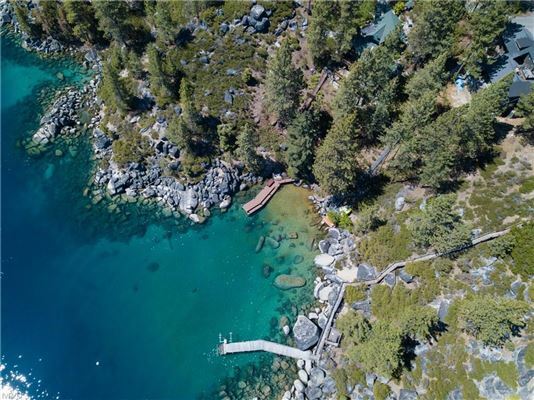 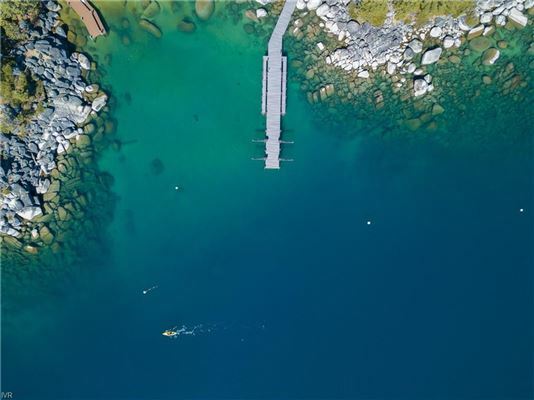 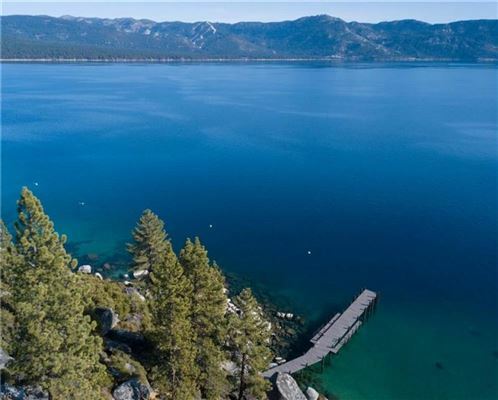 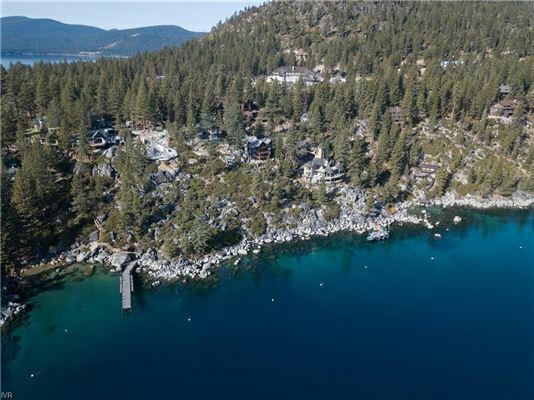 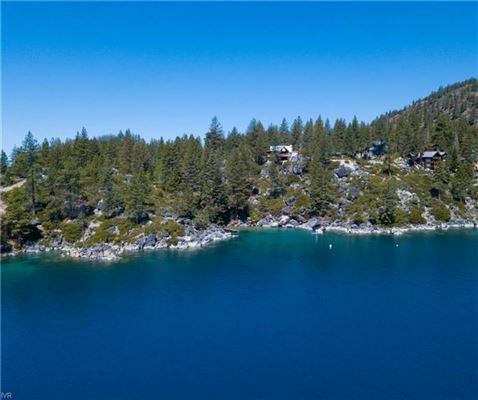 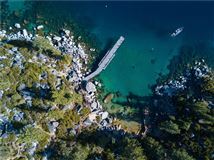 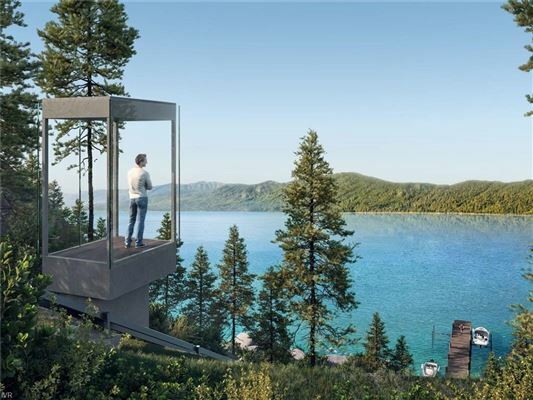 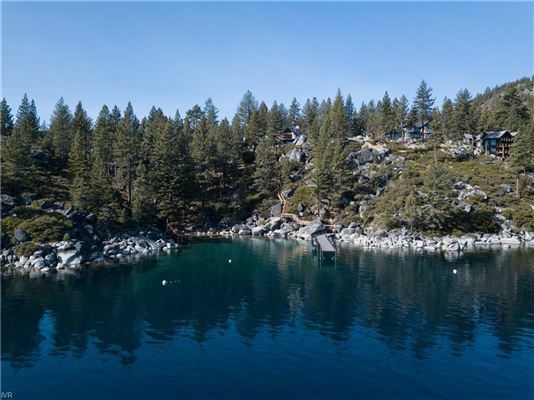 Main house weaves amongst existing granite outcroppings and mature Pines, taking advantage of views across Lake Tahoe and new Lake Tram to the property's 110-foot crystal cove and new deepwater shared pier, one buoy and boat lift for 12,000-pound boat. 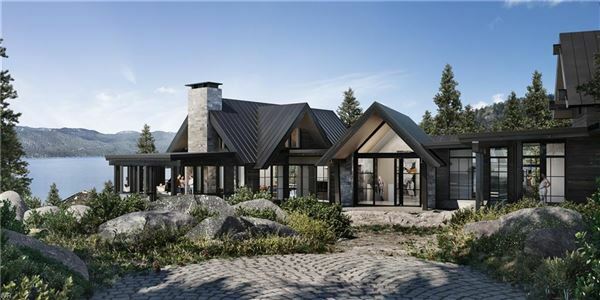 Designed with a fresh take on traditional forms with abundant glass, pocketing doors, wood siding and stone accents. 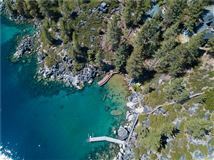 7,850 square foot home offers five bedrooms suites including a dedicated bunk room and separate self-contained in law suite, master wing accessed via glass sky bridge, including office and additional flex space. 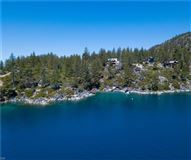 Large open great fantastic views and generous outdoor living spaces plus enclosed Panorama room. 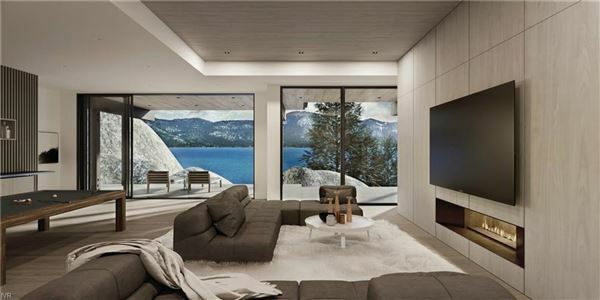 Lower level open REC room with fireplace, bar.